After all of your education and training, you’re finally ready to buy a dental practice. It’s an exciting time, but buying a practice has many moving parts that need to be carefully synchronized to ensure success. Without understanding each step of the process, you risk the transaction getting derailed. For example, have you run proper due diligence to ensure the purchase price is fair? What about financing? Do you know how much of a loan you will need, and do you have a firm understanding of all the documentation your lender will require? 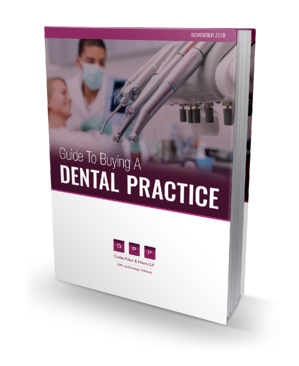 These are just the some of the questions we address in our Guide to Buying a Dental Practice. We also provide a checklist of the forms you will need to complete to make a purchase. With the right team of professionals to advise you before, during and after the transaction, you will be on your way to establishing your own practice. Please complete our form to receive the e-book, whether you are ready to purchase a dental practice now or in the future.